Starring Tom Hanks, the 1993 movie was one of the first mainstream films about AIDS. 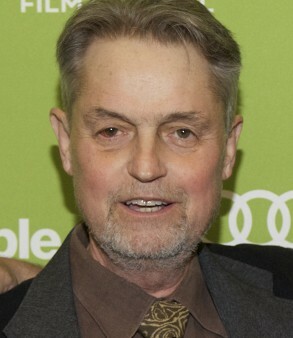 Jonathan Demme, who won an Academy Award for best director for Silence of the Lambs and also directed the AIDS courtroom drama Philadelphia, died of complications related to esophageal cancer. He was 73. As The Hollywood Reporter notes, Demme’s films took on a broad array of subjects, including those that were controversial or dark. In addition to Philadelphia and Silence of the Lambs, he directed the comedies Something Wild and Married to the Mob and the drama Rachel Getting Married. He also made the 1984 Talking Heads documentary Stop Making Sense and the 2016 documentary Justin Timberlake + the Tennessee Kids. 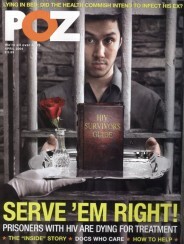 In 2013, POZ noted the 20th anniversary of Philadelphia, for which Tom Hanks won an Academy Award (watch a trailer of the film above). 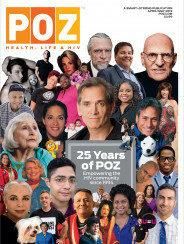 Demme had cast more than 50 people living with HIV/AIDS in the movie. A lawsuit settlement reached years later acknowledged that parts of the film were based on Geoffrey Bowers, a lawyer who died of AIDS-related illness in 1987. Recently, Demme directed an episode of the Fox series Shots Fired and two episodes of AMC’s The Killing.